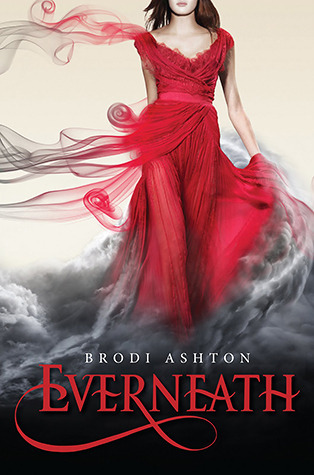 Last spring, Nikki Beckett vanished, sucked into an underworld known as the Everneath, where immortals Feed on the emotions of despairing humans. Now she’s returned to her old life, her family & friends, before being banished back to the underworld... forever. Beware, there IS the chiche Young Adult love triangle. Book one on the Everneath Trilogy, where Nikki has just returned from the Everneath, spending the last hundred years being a forfeit to the alluring Cole, who feeds off emotions. Life became too much for Nikki, and she would have given anything to have the pain eased, and she literally did. Now back on the surface, she has been giving six months before she is pulled under again, her fate is sealed... Or is it? Meet Jack, Nikki's long time love. Jack has searched for Nikki since she disappeared, heartbroken and lost. When Nikki returns, she can hear the whispers and rumors, determined to keep to herself. Jack is on a mission to find out where Nikki has been, and rediscover the girl who still has his heart... If Cole will allow it. A stunning modern telling of the Hades and Persephone myth. Well written. Jack is a brilliantly beautiful character. My only complaint is that it wasn't nearly long enough and ended in a cliffhanger.